Srinagar, January 31 (KMS): In occupied Kashmir, the Chairman of Hurriyat forum, Mirwaiz Umar Farooq, has deplored that India is suppressing the Kashmiris’ freedom movement through military might. 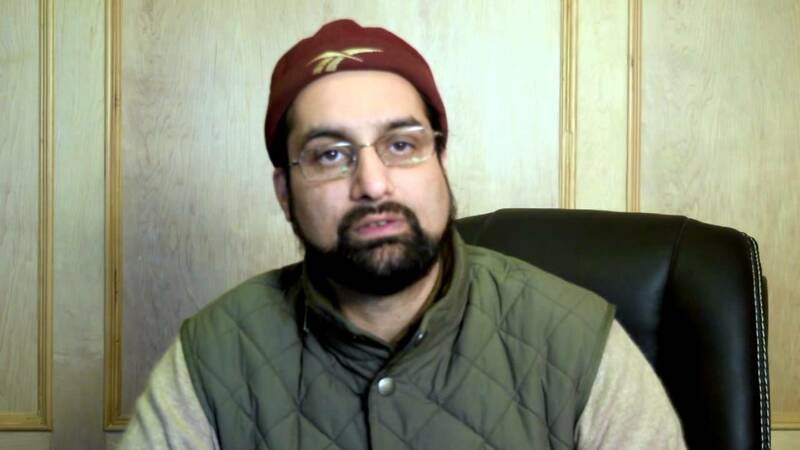 Mirwaiz Farooq, who continues to be under house arrest, in a statement issued in Srinagar said, killing Kashmiris with impunity shows cowardice of Delhi that makes great claims before the world but does not want to resolve the Kashmir dispute. “This approach will neither alter the fact of the dispute nor will people of Kashmir give up their demand for its just resolution in accordance with their aspirations,” he said. The Mirwaiz pointed out under the black laws like Disturbed Areas Act (DAA) and Armed Forces Special Powers Act (AFSPA), the troops had been given absolute powers to kill the Kashmiris at will without any fear of prosecution or accountability. “With killings and severe subjugation becoming the norm, many among Kashmir’s educated youth unfortunately feel compelled to take up arms, resist the oppression and fight for their birth right. All space for peaceful agitation for our fundamental political right stands completely chocked and crushed,” he said and added that there was no way left for the young generation to express their feelings and aspirations peacefully and democratically. “With every killing entire Kashmir has been turned into a military fortress, especially the downtown areas of Srinagar and Internet and other communication lines are snapped so that people could not even protest,” he deplored. Meanwhile, the Chief Patron of Jammu and Kashmir Mahaz-e-Azadi, Muhammad Azam Inqilabi in a statement in Srinagar condemning the firing of Indian troops on peaceful protesters in Shopian said that the Kashmiris would continue their liberation struggle till complete success. He advised India to pave the way for a peaceful, dignified and durable resolution of the Kashmir dispute.